Steffenie’s main responsibility within Girlguiding is to plan, run and support weekly meetings. Outside of their weekly meetings she also coordinates the peer educators within county. 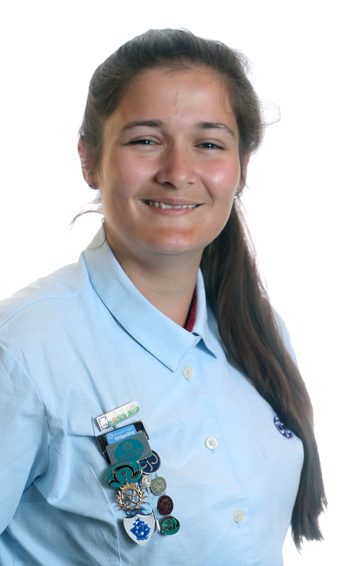 Steff is the vice chair for Dyfodol y ddraig Girlguiding Cymru’s youth forum. She also helps at camps and events all over the country. Having grown up in Girlguiding I have been given many opportunities to grow and develop as a person and a leader. I have completed many awards and challenges that have taught me valuable life lessons. I have faced many challenges in my personal, work and Girlguiding life that have made me an even more determined, dedicated and motivated leader than I ever could have imagined myself being. I thoroughly enjoy being a leader with Girlguiding as it’s extremely rewarding to give back some of the opportunities that I was given as a young member. What have been the main highlights and challenges since taking up your leadership role with Girlguiding? One of the biggest challenges has been adapting activities to suit all ages and abilities. Having members with additional needs and challenging behaviour and working with all ages from 5 right the way up to 18 is at times massively challenging but also extremely rewarding. One of the main highlights is helping our members achieve. Anything from jumping in to the unknown whilst coasteering, making our own troll wigs from some material and elastic for a camp closing ceremony and even learning useful life skills like cooking and healthy eating that they will take in to their future like I have. The most helpful thing I’ve learnt is that truly anything is possible with the right amount of flexibility and encouragement. The biggest issue facing leaders in Wales is trying to balance between driving towards new technology and ideas, whilst also keeping traditions alive. As you need a combination of the two to keep people and entice new people in. One leader in Wales that I admire is Lesley Mathews, Chief Commissioner for Girlguiding Cymru. She is driving Girlguiding forward with her bags of enthusiasm but is also very down to earth and a great role model. The British Youth Council empowers young people aged 25 and under to influence and inform the decisions that affect their lives. Their international representation is undertaken by UK Young Ambassadors, and I am one of the 2 UK Young Ambassadors to Europe, representing the UK at the European Youth Forum. Growing up as a woman in a caravan in the hills of Wales, it was easy for me and other working class young people around me to feel that our voices are likely to go unheard. Added to a severe airborne nut allergy I have faced difficulty and discrimination from the age of 5; but rather than discouraging me, it only made me want to succeed more. I want to help others, especially young women and those with a disability, who are often told they cannot be leaders, to empower themselves to get involved in issues that affect them. What have been the main highlights and challenges since taking up your leadership role with the British Youth Council? The highlights have been seeing views I have taken being turned into policy. It can be assumed that being from a little town in Wales that your views will go unheard, but this is not the case if you stand up and be counted. The main challenge has definitely been travelling and working with such a severe allergy, but it has made me more grateful for my life and allowed me to connect with young people with the same conditions and better my representation. It has also inspired me to create a new forum for young people with allergies. I have learned that you can honestly do anything you want to. It doesn’t matter if you live somewhere small or have a disability or are from a low-income background, you matter, your opinions matter, and you can change the world. Definitely Brexit. Regardless of the way people voted, the current feeling of uncertainty regarding negotiations and what will happen next means that leaders must work hard to reassure and lead their groups in a climate that is constantly changing. Janet Bidgood was the leader of Powys Youth Forum when I was a member and has led youth groups for many years. Her commitment to meaningful participation and well as her positive outlook on life was inspiring to me and is the reason I decided to pursue youth politics. 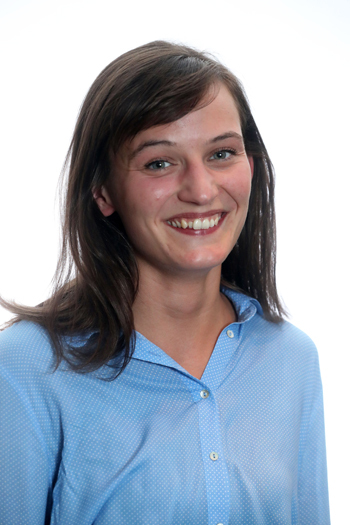 Sophie is the current chair of ‘ABMyouth’ – the first youth advisory board to work within the Welsh NHS. Here she leads a team of volunteers to improve the health services available to local children and young people. 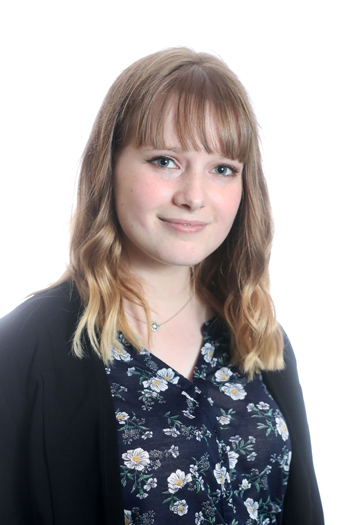 At a national level, Sophie is a member of the Welsh Assembly’s steering committee working to establish the first Youth Parliament for Wales. Studying, volunteering and working in Wales has opened my eyes to the inequalities that exist in health and education. Now as I start work as a doctor in the NHS, I am beginning to understand the complex relationship between poverty, education, lifestyle, behaviour and health. I strongly believe that all children deserve equal opportunity and access to education, health and healthcare regardless of their socio-economic background. My work is centred around educating and empowering children and young people to enjoy their human rights, so they have the chance to be the best that they can be. What have been the main highlights and challenges since taking up your leadership role with ABMyouth and Welsh Youth Parliament? The highlights have included working with young people who all bring their own life experiences and their unique ideas. It is a privilege to be involved with ABMyouth and Welsh Youth Parliament because they are platforms that empower young people and bring together professionals from different sectors to work together, share ideas and create opportunities that are the first of their kind in Wales. Helping adults to understand how Children’s Rights are relevant to them and how they apply to their everyday work has been a challenge. It is also a challenge to ensure that the voices of all children and young people are heard, not just the voices of those who are already engaged. Young people are often underestimated when they are capable of so much. Never stop listening and learning. Build a team of people who are as enthusiastic and excited about making a change as you are. Impact of Brexit – Many of Wales’ most disadvantaged communities currently benefit from substantial EU investment. As we prepare to leave the European Union, leaders will need to come together across the public, private and third sector to protect our most vulnerable populations, reduce inequalities and increase opportunities for future generations. Aneurin Bevan. When Aneurin Bevan revealed his plans for nationalising Britain’s hospitals there was political outcry. Despite this, Aneurin’s vision and determination stood the test of time. Now, 70 years later, the NHS is a national treasure that is regarded as the most equitable health care system in the world.